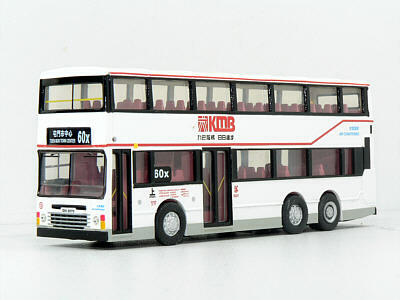 The model - this model was the first to carry the standard air-conditioned livery of Kowloon Motor Bus. It comes with a credit card size limited edition certificate as well as plastic bag containing two spare tyres, a bus stop, spare rear light clusters and wing mirrors. The bus - AD243 entered service in September 1995, being one of a class of 360 such vehicles introduced between 1991 and 1997.